Cook pasta according to package directions, rinse quickly and drain. 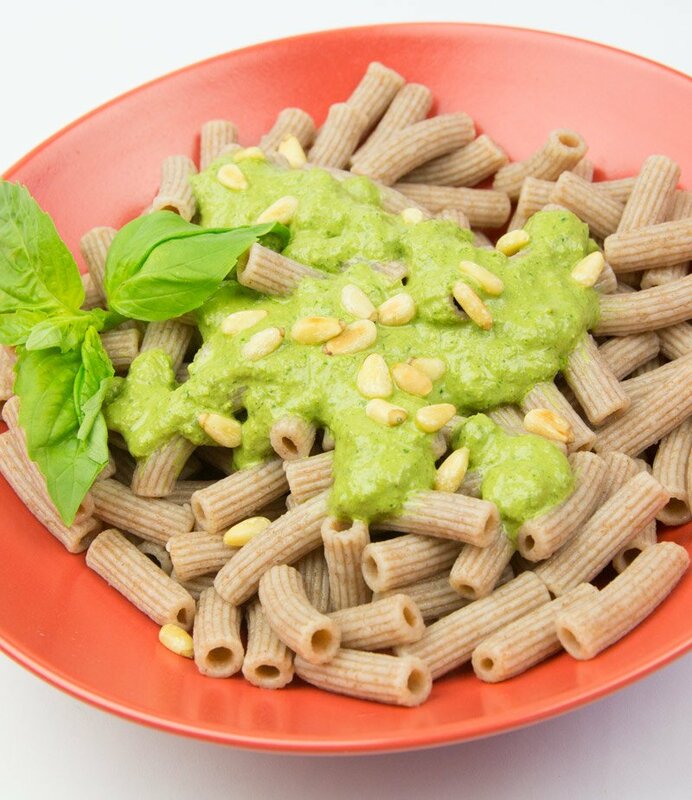 While the pasta is cooking, grind nuts in a blender or food processor. Add olive oil, garlic, sea salt, water and basil. Blend until creamy smooth. Pour pesto over the pasta while still hot.